We had some friends over for dinner last night and served braised pork tacos and this for dessert. I don’t suspect this is a traditional Mexican dessert but I like it because it is different, has great flavor depth and is very easy to make. 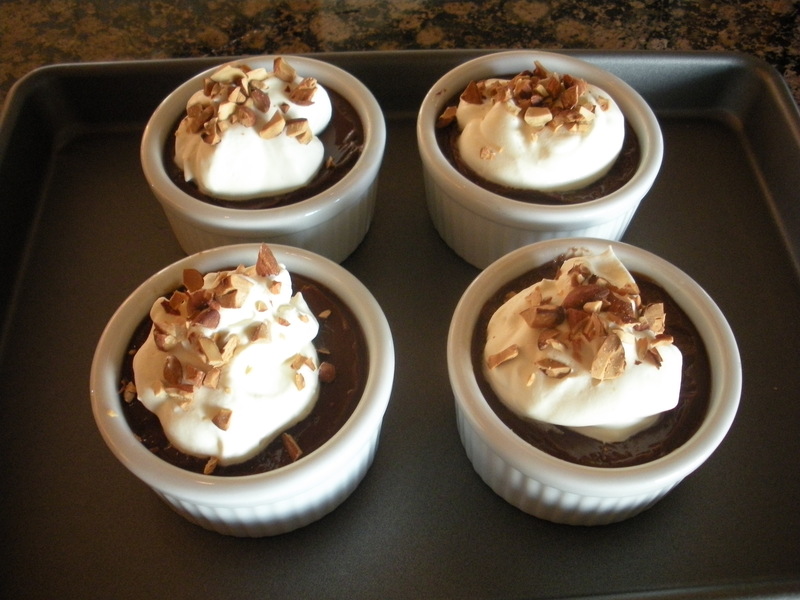 I originally found this recipe in Gourmet Magazine and like to serve the cinnamon crisps with it to dip into the creamy chocolate and fluffy whipped cream. Whisk together brown sugar, cocoa, cornstarch, cinnamon, and 1/8 teaspoon salt in a heavy medium saucepan, then whisk in almond milk. Bring to a boil over medium heat, whisking often, then boil, whisking, 1 minute. Chill in a bowl, surface covered with a piece of plastic wrap, until cold, at least 1 1/2 hours. Mix to taste the cinnamon and sugar in a large bowl. Check for flavor and adjust as needed. The oil is ready when the end of a wooden spoon is placed in the pan and bubbles form around the edge. Fry 5-6 triangles at a time turning over when brown. 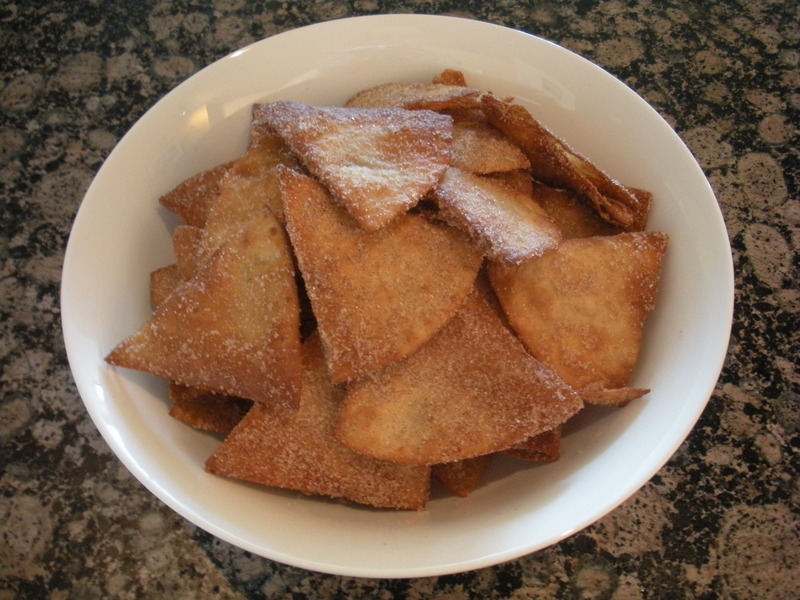 Using a tongs remove the chips, shaking off the excess oil, and place directly into the bowl of cinnamon sugar. Shake the chips in the sugar to coat. Let them cool on a large pan before transferring to a serving dish. Repeat until all of the chips are fried.